An unspecified number of people have been reportedly killed by gunmen suspected to be Fulani herdsmen following a fresh attack on Karmai village in Maro Ward, Kajuru Local Government Area of Kaduna State. 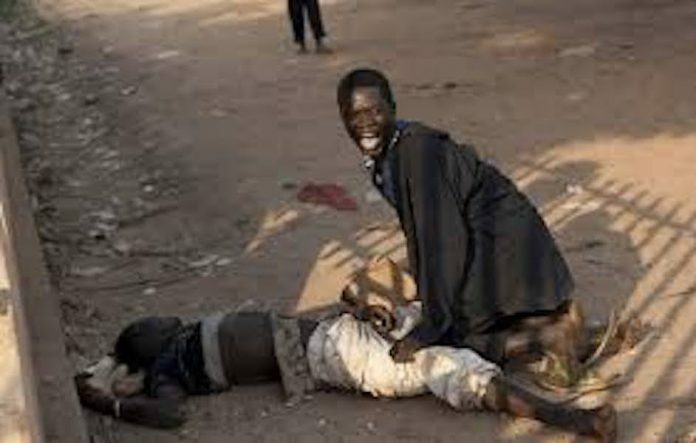 The attack is believed to be yet another reprisal over the recent killing of Fulanis in the area. The gunmen said to be in hundreds, were said to have invaded the community early Tuesday morning, shooting at people and burning houses. A source said the gunmen were dressed in military uniforms, adding that the villagers attempted to repel the attackers, but could not withstand the superior fire power of the gunmen. “The gunmen came this morning, over hundred of them. They were fully dressed in military uniform. Initially, our people attempted to repel them, but they couldn’t withstand the superior firepower of the Fulani,” he said. The source said further that the riot policemen, who later arrived the community, could not contain the situation as they were overwhelmed and had to retreat. He said a vehicle of the “Operation Yaki”, the state government’s security outfit that conveyed the riot policemen to the area, was burnt by the rampaging herdsmen. “Mobile policemen came but also retreated. One Operation Yaki vehicle was burnt by the bandits. “Soldiers have been deployed to the community and are engaging the Fulani. Fighting is still going on. “Our people have been killed and our houses have been burnt. For now, it is difficult to say how many people have been killed until the situation is calm,” he said. A former President of the Adara Development Association (ADA), Danladi Yarima, confirmed the attack, describing it as unfortunate. The Kaduna State government, while confirming the incident, said it is saddened by the attack and called on the communities for calm. The state government, in a statement by Samuel Aruwan, spokesman to Governor Nasir el-Rufai, condemned the recourse to violence. “The Kaduna State Government has today (Tuesday) received the sad news of renewed attacks in Kajuru and Kachia Local Government Areas. “The government is saddened by these attacks, condemns the perpetrators and urges all residents of the area to support the security agencies in their efforts to protect communities,” the statement said.